LOW MILES**, LOCAL TRADE**, ONE OWNER. UPFRONT PRICING***NO PRICING GIMMICKS***5 DAY-500 MILE EXCHANGE POLICY***WE FINANCE with APPROVED CREDIT***BUY WITH CONFIDENCE*** WE PAY TOP $$$ for TRADES***We will even show you the CARFAX history report and the service department repair order detailing the maintenance performed on the vehicle prior to it going on our lot. We make every effort to service our pre-owned vehicles for your piece of mind! WE BUY CARS, TRUCKS, VANS AND SUVs... Odometer is 27706 miles below market average! 27/33 City/Highway MPG We also encourage you to take any of our pre-owned vehicles to your own mechanic for their mechanical inspection. We want you to BUY with CONFIDENCE***Donde Se Compra Con Mucho Gusto*** Mike Shaw KIA.....S.P.I.D. @ Nile..... Call Us Today (361) 906-3611. 3RD ROW SEAT**, IPOD ADAPTER**, NEW BRAKES**. Priced below KBB Fair Purchase Price! UPFRONT PRICING***NO PRICING GIMMICKS***5 DAY-500 MILE EXCHANGE POLICY***WE FINANCE with APPROVED CREDIT***BUY WITH CONFIDENCE*** WE PAY TOP $$$ for TRADES***We will even show you the CARFAX history report and the service department repair order detailing the maintenance performed on the vehicle prior to it going on our lot. We make every effort to service our pre-owned vehicles for your piece of mind! WE BUY CARS, TRUCKS, VANS AND SUVs... Odometer is 27724 miles below market average! We also encourage you to take any of our pre-owned vehicles to your own mechanic for their mechanical inspection. 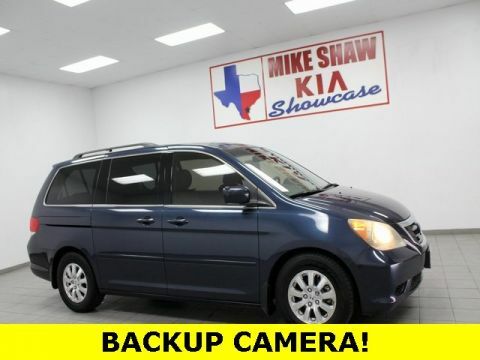 We want you to BUY with CONFIDENCE***Donde Se Compra Con Mucho Gusto*** Mike Shaw KIA.....S.P.I.D. @ Nile..... Call Us Today (361) 906-3611. BLUETOOTH, NEW BRAKES**. Priced below KBB Fair Purchase Price! UPFRONT PRICING***NO PRICING GIMMICKS***5 DAY-500 MILE EXCHANGE POLICY***WE FINANCE with APPROVED CREDIT***BUY WITH CONFIDENCE*** WE PAY TOP $$$ for TRADES***We will even show you the CARFAX history report and the service department repair order detailing the maintenance performed on the vehicle prior to it going on our lot. We make every effort to service our pre-owned vehicles for your piece of mind! WE BUY CARS, TRUCKS, VANS AND SUVs... We also encourage you to take any of our pre-owned vehicles to your own mechanic for their mechanical inspection. 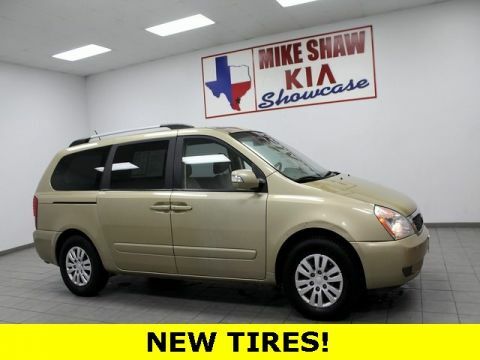 We want you to BUY with CONFIDENCE***Donde Se Compra Con Mucho Gusto*** Mike Shaw KIA.....S.P.I.D. @ Nile..... Call Us Today (361) 906-3611. 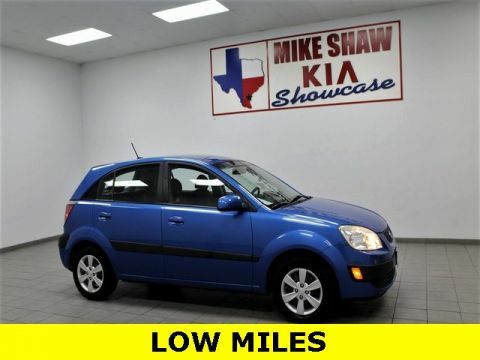 BLUETOOTH, LOW MILES**, NEW TIRES**, IPOD ADAPTER**, NEW BRAKES**, ALLOY WHEELS. UPFRONT PRICING***NO PRICING GIMMICKS***5 DAY-500 MILE EXCHANGE POLICY***WE FINANCE with APPROVED CREDIT***BUY WITH CONFIDENCE*** WE PAY TOP $$$ for TRADES***We will even show you the CARFAX history report and the service department repair order detailing the maintenance performed on the vehicle prior to it going on our lot. We make every effort to service our pre-owned vehicles for your piece of mind! WE BUY CARS, TRUCKS, VANS AND SUVs... Odometer is 6332 miles below market average! 25/30 City/Highway MPG We also encourage you to take any of our pre-owned vehicles to your own mechanic for their mechanical inspection. 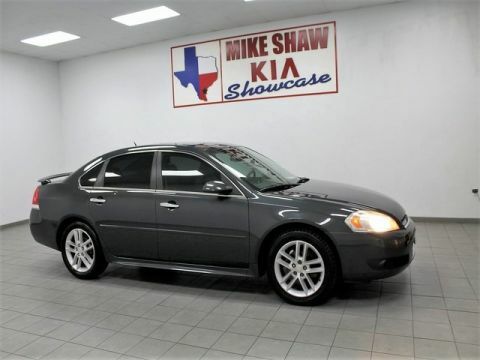 We want you to BUY with CONFIDENCE***Donde Se Compra Con Mucho Gusto*** Mike Shaw KIA.....S.P.I.D. @ Nile..... Call Us Today (361) 906-3611. UPFRONT PRICING***NO PRICING GIMMICKS***5 DAY-500 MILE EXCHANGE POLICY***WE FINANCE with APPROVED CREDIT***BUY WITH CONFIDENCE*** WE PAY TOP $$$ for TRADES***We will even show you the CARFAX history report and the service department repair order detailing the maintenance performed on the vehicle prior to it going on our lot. We make every effort to service our pre-owned vehicles for your piece of mind! WE BUY CARS, TRUCKS, VANS AND SUVs... Odometer is 27486 miles below market average! We also encourage you to take any of our pre-owned vehicles to your own mechanic for their mechanical inspection. 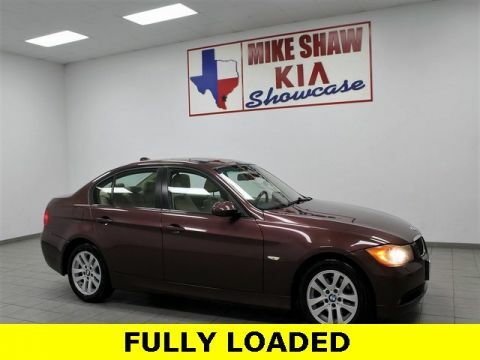 We want you to BUY with CONFIDENCE***Donde Se Compra Con Mucho Gusto*** Mike Shaw KIA.....S.P.I.D. @ Nile..... Call Us Today (361) 906-3611. 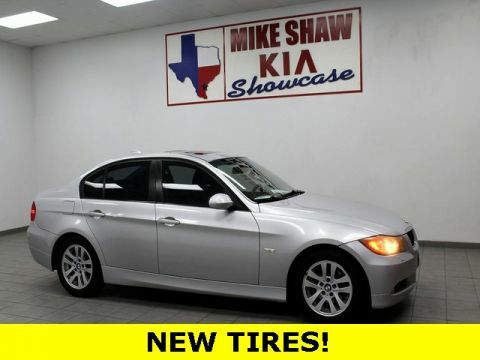 BLUETOOTH, SUNROOF, LEATHER SEATS, BACK UP CAMERA, NAVIGATION, NEW TIRES**, NEW BRAKES**, ALLOY WHEELS, Adaptive Headlights, Navigation System, Speed control. UPFRONT PRICING***NO PRICING GIMMICKS***5 DAY-500 MILE EXCHANGE POLICY***WE FINANCE with APPROVED CREDIT***BUY WITH CONFIDENCE*** WE PAY TOP $$$ for TRADES***We will even show you the CARFAX history report and the service department repair order detailing the maintenance performed on the vehicle prior to it going on our lot. We make every effort to service our pre-owned vehicles for your piece of mind! WE BUY CARS, TRUCKS, VANS AND SUVs... 19/28 City/Highway MPG We also encourage you to take any of our pre-owned vehicles to your own mechanic for their mechanical inspection. 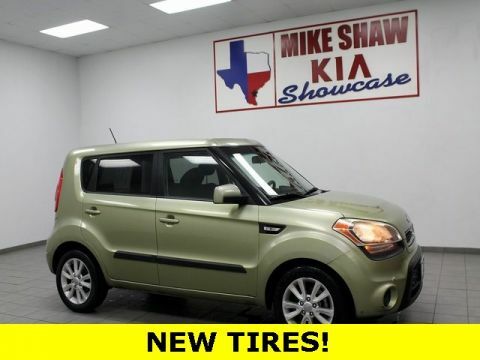 We want you to BUY with CONFIDENCE***Donde Se Compra Con Mucho Gusto*** Mike Shaw KIA.....S.P.I.D. @ Nile..... Call Us Today (361) 906-3611. UPFRONT PRICING***NO PRICING GIMMICKS***5 DAY-500 MILE EXCHANGE POLICY***WE FINANCE with APPROVED CREDIT***BUY WITH CONFIDENCE*** WE PAY TOP $$$ for TRADES***We will even show you the CARFAX history report and the service department repair order detailing the maintenance performed on the vehicle prior to it going on our lot. We make every effort to service our pre-owned vehicles for your piece of mind! WE BUY CARS, TRUCKS, VANS AND SUVs... 24/33 City/Highway MPG We also encourage you to take any of our pre-owned vehicles to your own mechanic for their mechanical inspection. 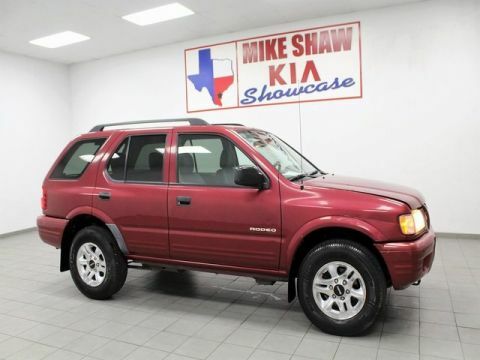 We want you to BUY with CONFIDENCE***Donde Se Compra Con Mucho Gusto*** Mike Shaw KIA.....S.P.I.D. @ Nile..... Call Us Today (361) 906-3611. UPFRONT PRICING***NO PRICING GIMMICKS***5 DAY-500 MILE EXCHANGE POLICY***WE FINANCE with APPROVED CREDIT***BUY WITH CONFIDENCE*** WE PAY TOP $$$ for TRADES***We will even show you the CARFAX history report and the service department repair order detailing the maintenance performed on the vehicle prior to it going on our lot. We make every effort to service our pre-owned vehicles for your piece of mind! WE BUY CARS, TRUCKS, VANS AND SUVs... 19/28 City/Highway MPG We also encourage you to take any of our pre-owned vehicles to your own mechanic for their mechanical inspection. We want you to BUY with CONFIDENCE***Donde Se Compra Con Mucho Gusto*** Mike Shaw KIA.....S.P.I.D. @ Nile..... Call Us Today (361) 906-3611. 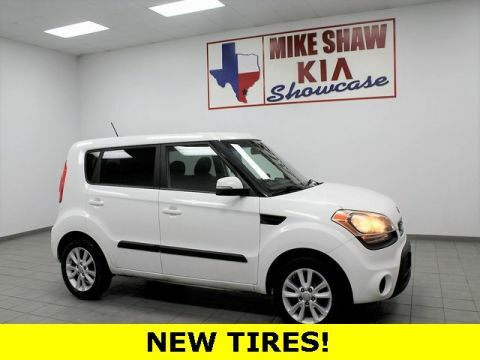 BLUETOOTH, 3RD ROW SEAT**, LOCAL TRADE**, NEW TIRES**, ONE OWNER, NEW BRAKES**, ALLOY WHEELS. Priced below KBB Fair Purchase Price! UPFRONT PRICING***NO PRICING GIMMICKS***5 DAY-500 MILE EXCHANGE POLICY***WE FINANCE with APPROVED CREDIT***BUY WITH CONFIDENCE*** WE PAY TOP $$$ for TRADES***We will even show you the CARFAX history report and the service department repair order detailing the maintenance performed on the vehicle prior to it going on our lot. We make every effort to service our pre-owned vehicles for your piece of mind! WE BUY CARS, TRUCKS, VANS AND SUVs... We also encourage you to take any of our pre-owned vehicles to your own mechanic for their mechanical inspection. 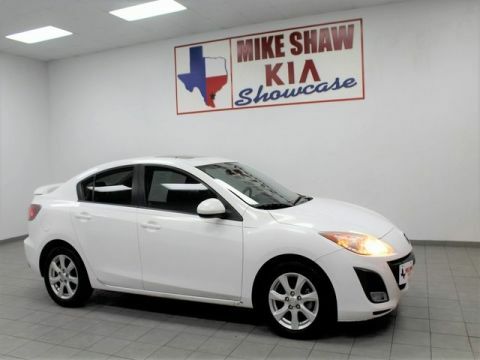 We want you to BUY with CONFIDENCE***Donde Se Compra Con Mucho Gusto*** Mike Shaw KIA.....S.P.I.D. @ Nile..... Call Us Today (361) 906-3611. UPFRONT PRICING***NO PRICING GIMMICKS***5 DAY-500 MILE EXCHANGE POLICY***WE FINANCE with APPROVED CREDIT***BUY WITH CONFIDENCE*** WE PAY TOP $$$ for TRADES***We will even show you the CARFAX history report and the service department repair order detailing the maintenance performed on the vehicle prior to it going on our lot. We make every effort to service our pre-owned vehicles for your piece of mind! WE BUY CARS, TRUCKS, VANS AND SUVs... 22/33 City/Highway MPG We also encourage you to take any of our pre-owned vehicles to your own mechanic for their mechanical inspection. We want you to BUY with CONFIDENCE***Donde Se Compra Con Mucho Gusto*** Mike Shaw KIA.....S.P.I.D. @ Nile..... Call Us Today (361) 906-3611. UPFRONT PRICING***NO PRICING GIMMICKS***5 DAY-500 MILE EXCHANGE POLICY***WE FINANCE with APPROVED CREDIT***BUY WITH CONFIDENCE*** WE PAY TOP $$$ for TRADES***We will even show you the CARFAX history report and the service department repair order detailing the maintenance performed on the vehicle prior to it going on our lot. We make every effort to service our pre-owned vehicles for your piece of mind! WE BUY CARS, TRUCKS, VANS AND SUVs... 18/30 City/Highway MPG We also encourage you to take any of our pre-owned vehicles to your own mechanic for their mechanical inspection. 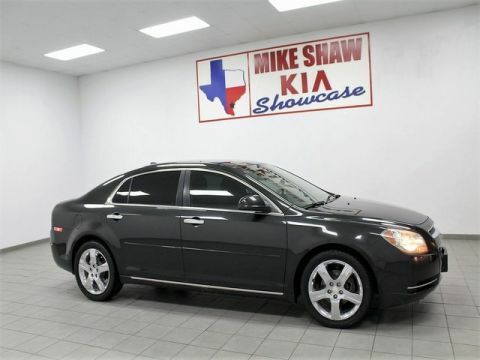 We want you to BUY with CONFIDENCE***Donde Se Compra Con Mucho Gusto*** Mike Shaw KIA.....S.P.I.D. @ Nile..... Call Us Today (361) 906-3611. 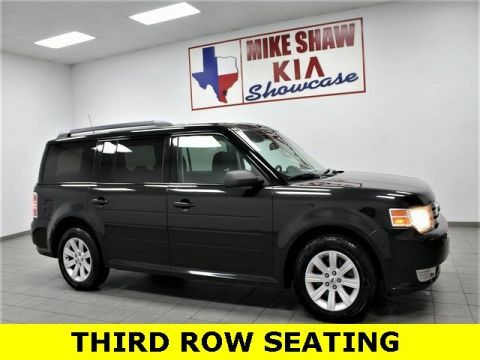 BLUETOOTH, LEATHER SEATS, 3RD ROW SEAT**, NEW BRAKES**, ALLOY WHEELS. UPFRONT PRICING***NO PRICING GIMMICKS***5 DAY-500 MILE EXCHANGE POLICY***WE FINANCE with APPROVED CREDIT***BUY WITH CONFIDENCE*** WE PAY TOP $$$ for TRADES***We will even show you the CARFAX history report and the service department repair order detailing the maintenance performed on the vehicle prior to it going on our lot. We make every effort to service our pre-owned vehicles for your piece of mind! WE BUY CARS, TRUCKS, VANS AND SUVs... Odometer is 14362 miles below market average! We also encourage you to take any of our pre-owned vehicles to your own mechanic for their mechanical inspection. 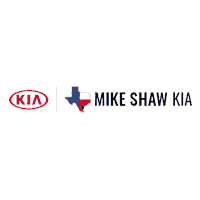 We want you to BUY with CONFIDENCE***Donde Se Compra Con Mucho Gusto*** Mike Shaw KIA.....S.P.I.D. @ Nile..... Call Us Today (361) 906-3611.